This weekend marks the start of “Black Friday Week”. Have you noticed that Black Friday seems to come earlier and earlier every year? Sure, retailers are now open on Thanksgiving, but the sales actually started a week or two ago. It seems like all of November is full of “Black Friday Sales”. Anyway, things are about to heat up anymore and there are two great spending deals beginning as soon as tomorrow that I think are worth maximizing. 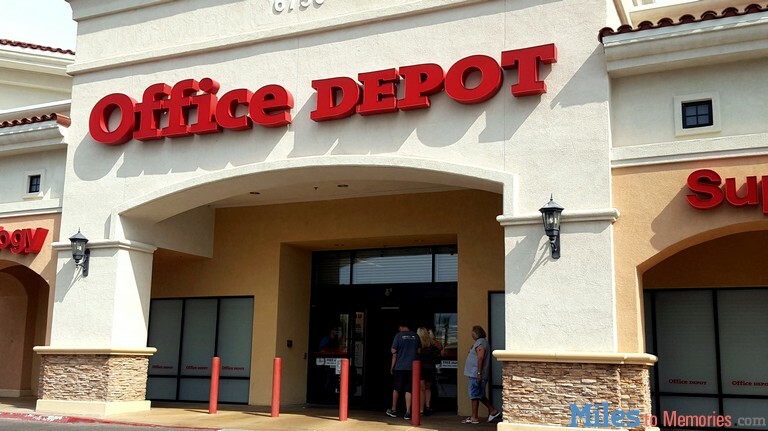 Starting tomorrow Office Depot and Officemax will bring back their popular instant Visa gift card rebate. For more information about how this deal is a moneymaker, how to liquidate the cards and more, see my original post about the deal. Once you have spent the week giving your Ink cards a workout at Office Depot/Officemax, you can move onto Bed Bath & Beyond for a very good moneymaker on Visa gift cards. Their deal, which begins on Black Friday and runs through Sunday gives a $25 rebate on the purchase of a single $200 Visa gift card with a limit of 2 rebates per household. You won’t earn 5X at Bed Bath & Beyond, but you will make about $18 plus any rewards earned on your credit card. That is a pretty good deal and worth a stop in during your holiday shopping. For the full, terms and a link to the rebate form along with information on how to liquidate, see my original post about the deal. Both of these deals are great since they are moneymakers and points generators. Thinking outside the box can lead towards better maximizing and no matter whether you go big and try to get a ton of cards or go small and pickup just a few, it could be a very lucrative week. Previous articleNinja Tricks: Save 35%+ Off Toys at Target & Earn 5X with Gift Cards! Anyone else’s BBB call your credit card company “for your protection”? A little hassle but well worth it!